Metrics are the quantitative view about a process, service or activity that is measured, presented and reported to the stakeholders to help them manage and control the business objective. It provides accurate information about how the process is functioning and a base for required improvements. In IT service management, a metric evaluates the effectiveness of the support and maintenance processes. The usefulness of any metric might vary for each client, business, and system. Metrics give an insight into planning and decision making. For example, a metric could measure the effectiveness of the incident resolution process by calculating how long it takes to resolve an incident, another metric could measure the average volume of incidents fixed by a support team member over a defined period, and both of these can jointly be used to forecast the demand of human resources required to be deployed. In some cases, metrics may be obtained easily from raw data, e.g., the number of incidents received, while others may need calculations, such as Mean Time To Resolve (MTTR), on the collected data. The optimum benefit from metrics is derived by keeping them simple. It works well when defined, implemented, explained, measured, and understood. The following seven steps cover the basics to set up IT support process metrics. However, to ensure effectiveness, one needs to go beyond these seven steps. Let's take a quick look at these seven steps to ensure effective IT support metrics. Considering the nature of support project and scope of work (e.g., Helpdesk, Level 2, Level 3), the client’s goal, business domain, geography, and all other project specific parameters, IT support team must list the set of metrics that map completely and correctly with the project. What can go wrong with identifying metrics? For instance, setting a high target of monthly/daily ticket count per person may result in the support team not paying the required attention to the issue. They may make mistakes while resolving the tickets, skip the set Standard Operating Procedure (SOP). Metrics should not encourage support team to take adverse actions. Defining the metrics is critical for an organization, department, and project to benchmark its success. One way to keep metrics understandable is to use the SMART (Specific, Measurable, Achievable, Relevant, Time-based) model. However, the “Achievable” part is often ignored. Sometimes both the service provider and the receiver pressurize the IT support team to achieve something unrealistic (or at least not easily feasible and worthwhile). E.g., the resolution time of a Priority 1 ticket is 20 minutes. It may sound unrealistic for an On-call night support team due to the time spent in coordination, understanding ticket, and then finding the solution. However, such SLAs may be critical from the business' perspective. A way forward should be identified. In this case, implementing a workaround to the issue, and fixing the permanent solution later. 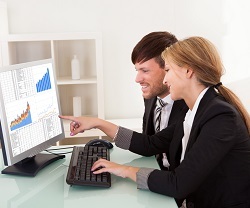 This way, we plan for realistic metrics without compromising the business need. In service teams, customer expectation, its feasibility and defining metrics must be aligned with one another. Targets that are not achievable will only lead to a sentiment of defeat in the team even before they have started to achieve their goals. Having everyone on the same page is crucial for the successful implementation of any new metric. The culture change is lead from the top. For this, simply mandating the implementation of metrics may not be sufficient. Accomplishment is feasible only when there is a buy-in from the project team, and they are aware of the benefits and identify it as an integral part of metrics identification. If the metrics captured by the project team are not approved by business, then later it may be identified that the metrics are not suitable to meet the business goals. Similarly, if the Management or business demands for specific metrics which are not feasible based on data available, the team may struggle to satisfy the stakeholders. Having consensus in the decision-making across various stakeholder is the key to success. Communication is the key to getting everyone on board – whether at the beginning or for the expansion of metrics to measure the performance of the project. Moreover, implementing an incentive or compensation based on the relevance of metric could further help in getting faster results on the priority goals. Raw data – what’s needed and what can be collected? Raw data is the building block of metrics. It is imperative for IT support and maintenance team to establish the source of the required raw data. If it cannot be the direct input for metric preparation, then it is defining a calculation mechanism to prepare the information from raw data for metric. Deciding to drop a metric or replace with another one could be challenging if the IT service management tool or any other method is not feasible to give the appropriate data for an expected metric. To overcome such limitation of service management tool, one should be willing to collect data manually without which we cannot be at the top of the full-fledged automated dashboard solution. It means that some investment is required at the beginning to collect additional data. This requires an evaluated decision by the Service provider along with client to gauge the benefit versus cost. Support metrics need to be reliable in terms of ROI and it should give some information for the project objective. IT process department of a company may have a long list of metrics, out of which many may sound relevant for your IT project. But, the more important question is whether or not a project really needs to prepare all of them? No, not at all. It’s not unusual for companies, and their process and audit departments to set-up a metric and expect the IT support team to generate those. They forget that processes are prepared to support the project objectives and measure its efficiency. The projects should not be used to discover whether company’s process or tools (or both) are working efficiently. Project and process tailoring mechanism should be used to come up with a solution that meets the process department’s objective for wider clientele without disturbing the project team. This will standardize the process of data collection across projects, departments, entities of the same client or geographies. But no unwanted metric should be prepared in the name of standardization since it will only waste team effort. Measuring the result and sharing reports is quite conventional. Which company doesn’t do it? After all, they spend considerable time and energy in getting the project, defining the metrics and buying expensive tools. But what about the results? Many companies (service provider and client) do very little with the results. Usually it is because multiple metrics have been established. Therefore, tracking the development of the metrics periodically, analyzing the cumulative data and trends, mapping it with the business objective and taking necessary actions and then tracking their progress till the closure is imperative. It is always better to have five meaningful metrics that the project will use as supposed to 50 that it won’t. Dedicated agenda in regular meetings at the project level, management governance and even the board meetings are good platforms to achieve it. For e.g., after achieving the team level performance in term of ticket count handled per month, the management decides to measure the individual member level metrics to bring the optimization in the team’s performance. IT is changing. Businesses are changing. Clients and customer expectations are changing. Keeping this in consideration, service organization and project teams need to improve its metrics from time to time. There may be needed to amend the need of metrics list or the way a support metrics is prepared if a client revises their business objective. Or one of the metrics achieves its highest possible target, so the company may want to add a new one to give the new challenge to the team. The ultimate objective of setting a metrics shouldn't limit to simply create some nice charts and tables but to derive valuable insights from the data and make decisions that benefit the business. The relevance of each metrics and its purpose should be visited during governance meetings and the list should be revised, as required, to reflect the most appropriate metrics. It gives an impression to the team that management has continued focus on the business improvement and they also come up with more value-added ideas. The objective of setting metrics is to improve the business, therefore set targets that challenge the support team. It will provide more value as supposed to emphasizing on something that is easy to achieve or already achieved. When it comes to IT project support, the ability to implement, tweak, and improve your service in alignment to the client and their objectives is a huge part of achieving customer delight. Metrics are key elements of IT Operations - be it at any level of support or maintenance. Though metrics are well-knitted in the IT service providers offerings, the most crucial point about Metric is its relevance to benefit the client and meet the purpose for which it is chosen. One needs to carefully plan, implement and measure the metrics considering their persistence. Periodic review of metrics and making the necessary amendment is equally beneficiary. Metric should not be only shared with the stakeholders but discussed in detail about its outcome, success and whether it is fulfilling the purpose for which it was introduced.